Watch the Hungry Lion Video! We Serve & together, make a difference! The HLBT was created in 2011 to help raise funds to fight hunger in Southern Vermont. To date, the event has raised more than $50,000 for the Lion’s annual Holiday Food Basket program, and for local food pantries. We began by serving a warm holiday dinner. Although it was a treat for many, there were no long-term benefits. Today, we provide enough food to literally fill the cupboards of those in need all across the Deerfield Valley, when it is most needed - the weekend before Christmas. The groceries are all delivered in reusable canvas bags and are overflowing with various staples and perishables. 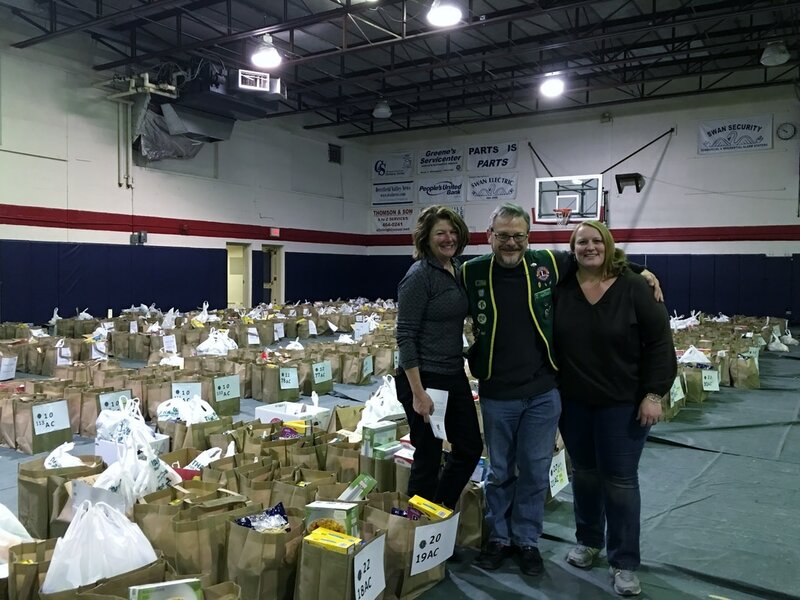 In recent years we've joined forces with other nonprofit, all-volunteer service clubs and are able to serve approximately 500 people in the nine surrounding towns. Why Participate as Rider or Sponsor? Vermont is ranked the 11th hungriest state in the nation and according to the US Census, 13% of Vermonters (27,000 children) cannot afford either enough food or nutritious food for their households. We developed the annual ‘Hungry Lion Bike Tour’ to raise funds for our all-volunteer project, the Holiday Baskets food campaign and to support other groups working to end hunger in our communities. Please join us in making this event a great success and have fun riding in the beautiful fall colors of Vermont! Thank you from your HLBT Team.